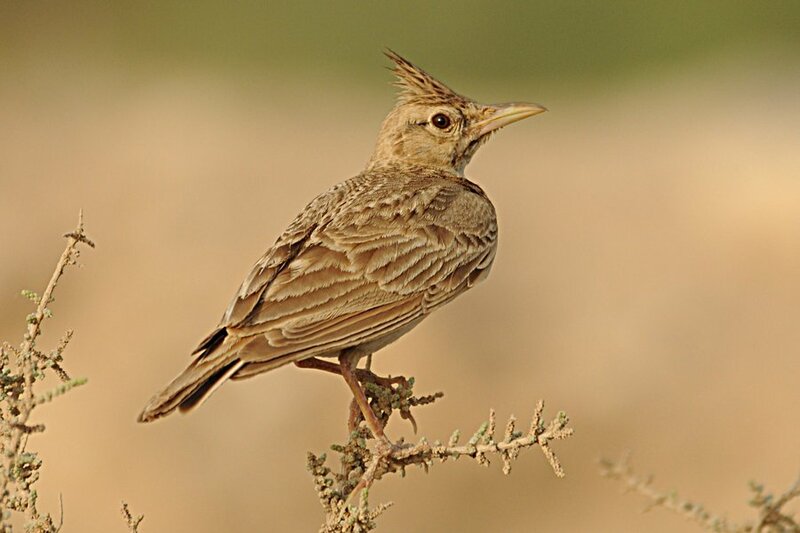 Crested Lark are again breeding in Dhahran Camp primarily in the scrubby desert area near to the percolation pond. Singling males are again advertising themselves and are becoming much more visible than the previous few months. 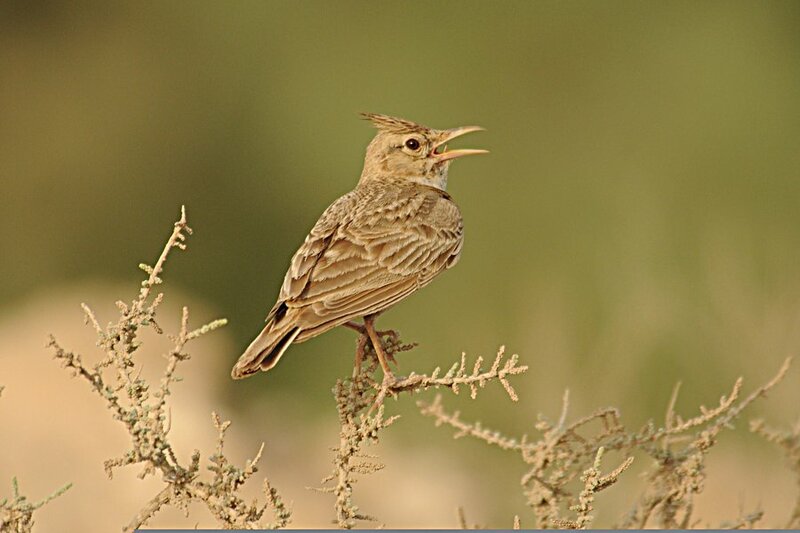 These photographs show a bird n full song taken in the late evening. I was on foot and got to within about five metres of the bird without it being unduly perturbed. I left the bird in the same spot still singing. 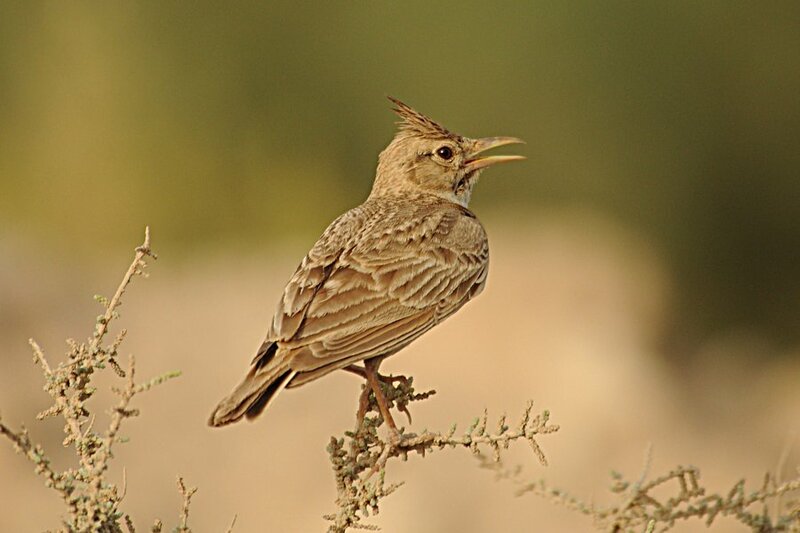 Crested Lark is a common breeding resident in the Eastern Province of Saudi Arabia and is one of the most common birds seen during y daily birwatching trips on my local patch.